What Is IPL Hair Removal & Is It Different From Laser? I am very lucky that I get to attend a lot of beauty events and launches and therefore I get to find out first hand knowledge about products as well as getting to test them out. IPL hair removal has been around for a little while now, with most people being most familiar probably with the Philips Lumea device. I have tested out my fair share of IPL devices and so I think I just assume that everyone actually knows what it is, however most of my friends don’t actually have a clue what it is and often I get asked just that question, what is it? 1. Is IPL Is The Same As Laser Hair Removal? The answer to this is no. IPL or known as Intense Pulsed Light emits light of all visible wavelengths (like a photo flash) whereas laser uses one specific wavelength of light, imagine a laser pointer. IPL is more commonly something that can be used at home and has been developed so it is safe to use at home, whereas laser you would find in a salon. IPL is slightly faster than laser as a larger area of skin can be treated in one flash. IPL works by emitting gentle pulses of light to the hair root to produce heat that is then transferred to the hair follicle. This stimulates the hair follicle to go into a resting phase and as a consequence the hair sheds naturally and regrowth is inhibited. IPL doesn’t hurt. Some people do find a hotness on their skin when it flashes, but I haven’t found any discomfort from using one. Unlike a laser which can be painful, like a needle prick sensation, IPL is simply a flash and no pain. 3. Is it Permanent Hair Removal? This is something that I think when IPL devices first came out was a term thrown about too much and one I fell into the trap of. Most of the time when brands use this term, there is an asterisk next to it. It’s a difficult one, it is a permanent hair removal solution but is not the removal of hair permanently, if that makes sense. 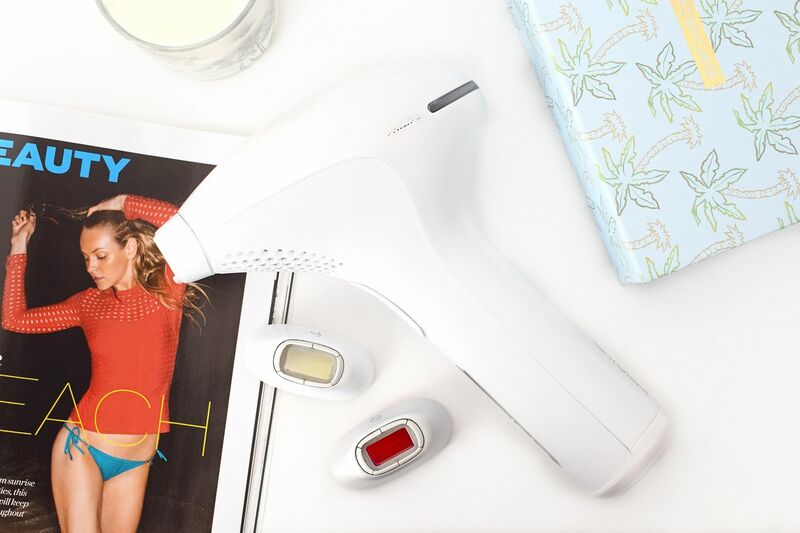 After the initial treatment you will need to top up every month to two months, so the Philips Lumea for example will keep you hair free for up to 8 weeks. 4. Can Anyone Use It? For instance the Philips Lumea works from fair skin to dark skin and hair colour range from a dark blonde to dark. It does not work with blonde or grey hair as it needs the pigment i.e. melanin to be effective. IPL targets the melanin in the hair root (not the skin) and triggers a molecular process whereby the hair is switched from active growth to the resting phase. 5. How Often Do You Need To Do It? Different IPL gadgets vary. But for the Philips Lumea it’s every two weeks for 6-8 weeks. Then after that it’s once every month or two months depending on your growth. Within a few days to a week or two of the initial IPL treatment the hair sheds naturally. In between the two-week period of waiting for the next treatment you can shave, epilate and wax as normal. Before your treatment make sure your hair has been removed. Don’t use depilatory creams as they can make the skin burn, so stick to shaving, waxing and epilating for now. 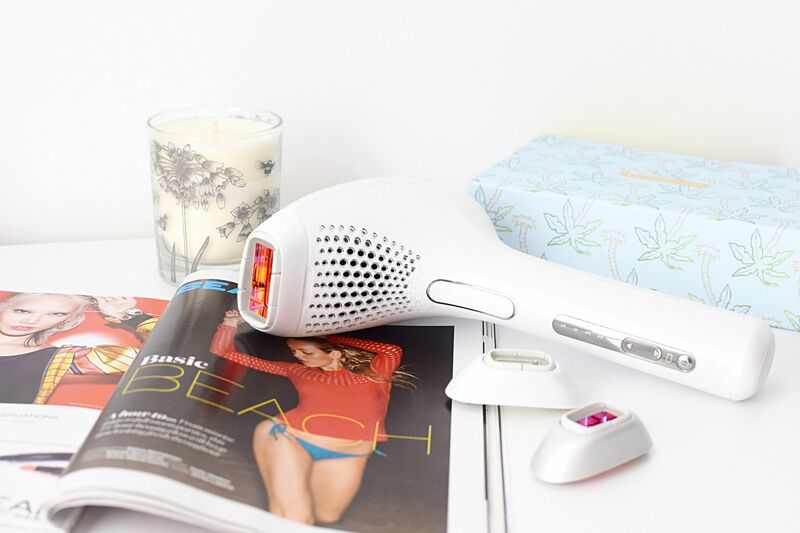 I am currently testing out the Philips Lumea Prestige, Philips top of the range IPL device. This is able to be used on face, body and bikini area. In a few weeks I’ll be back with my results and also an in-depth review of the product. In the meantime if you have any more questions you would like answered within my next update, do let me know in the comments or tweet me @theldndiaries and I will be sure to try to include them. This post was sponsored by Philips, however all opinions are my own.